CHICAGO (WLS) -- Some of the city's fastest growing tech firms made a collective agreement to hire nearly 1,000 new employees by the end of 2015. 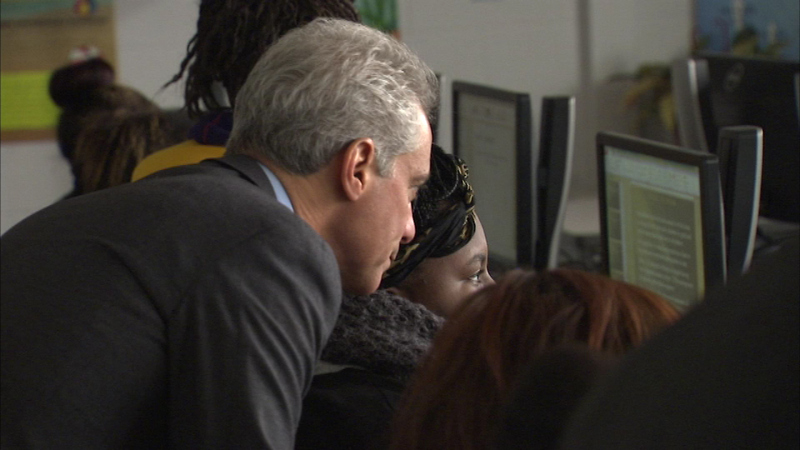 Chicago Mayor Rahm Emanuel made the announcement Thursday at Michele Clark High School on the city's West Side. The companies cross several industries, including marketing, healthcare and service. They're hiring for all levels of jobs from artists to account executives.